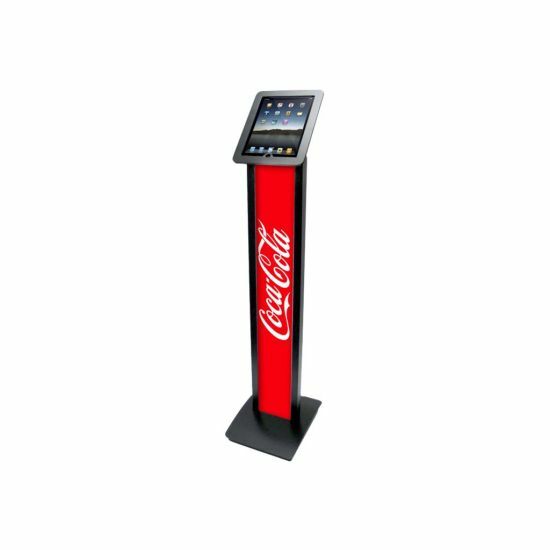 Our BrandMe stand allows you to utilize a panel for branding, call to action or custom design to bring attention to your interactive display or kiosk. 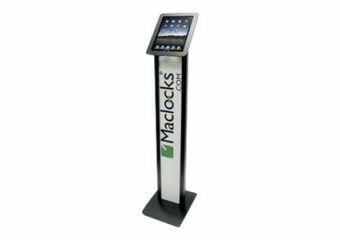 The tilting mount allows the tablet enclosure to be set in either portrait or landscape mode and the stand base offers additional security features, securing the power source and bolting the unit to the floor. 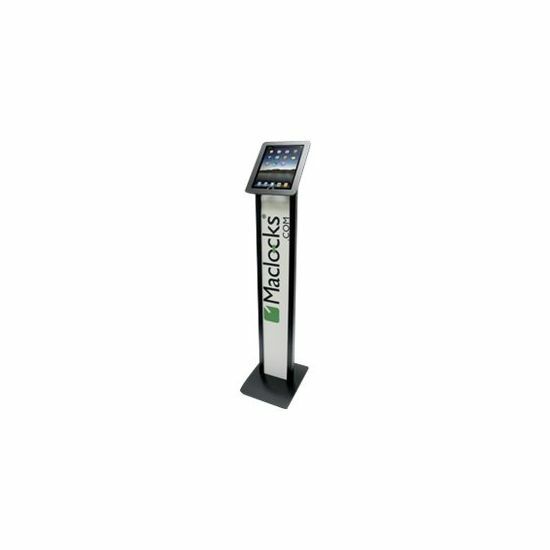 The Executive tablet Enclosure features rounded edges and open back for improved ventilation and allows for limited access to buttons and inputs. It is our only enclosure that secures ALL 9.7 inch screen iPads from the very first all the way to the most current iPad 9.7 (2017). 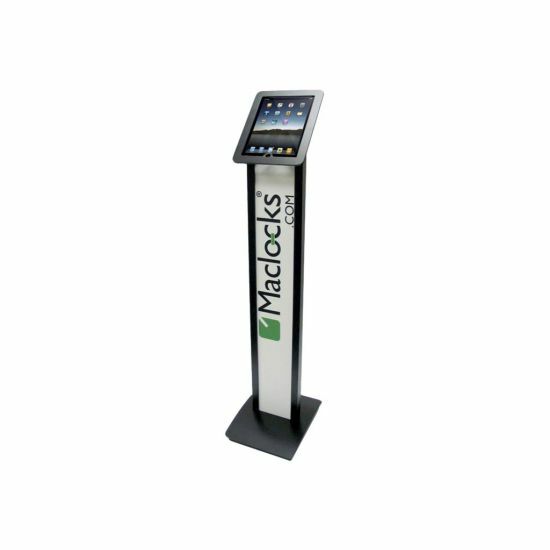 As with all our iPad lock and iPad lock devices, the tablet can be continuously charged while in the enclosure and have peripheral cables plugged in while mounted.